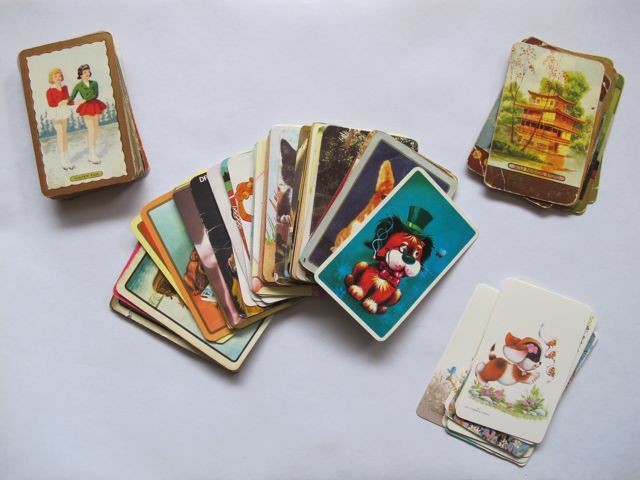 After reading about a swap card collection in the latest issue of Frankie I was moved to ask my mum about the swap cards I remember from my childhood. 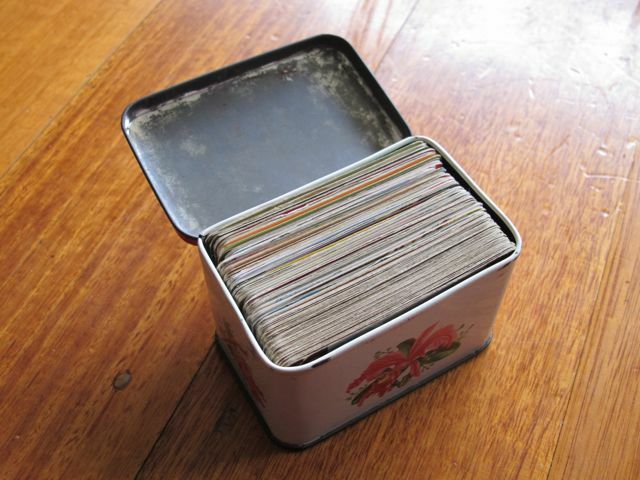 So, the tin was unearthed from the depths of a wardrobe and inside is a stack of little illustrated treasures. 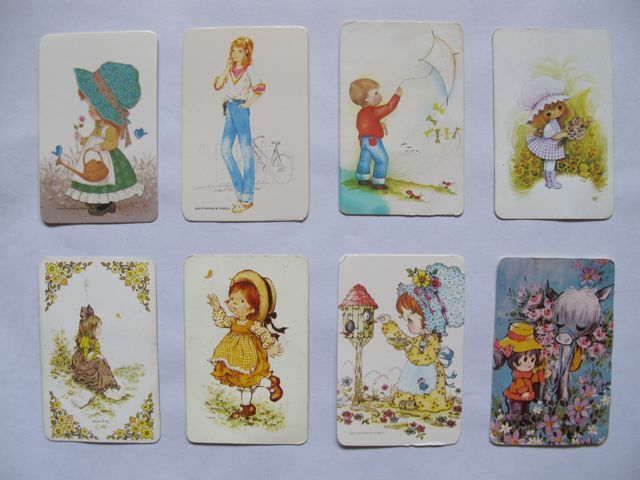 Many of the cards date back to my mum's own childhood. 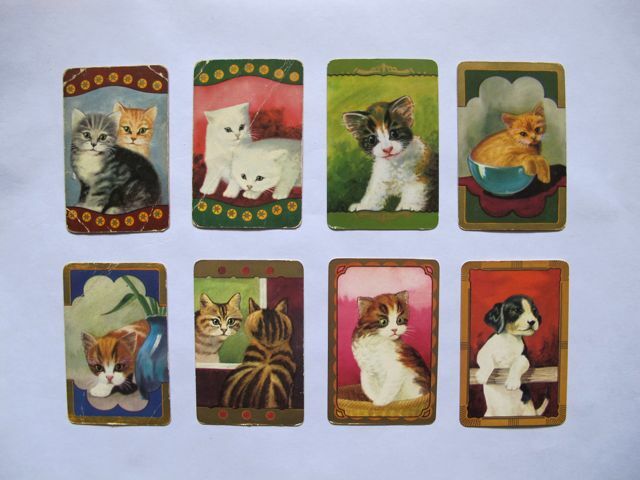 Her favourite card as a kid was that first one - those cute grey and ginger kittens. Apparently the Coles vintage cards are the most collectible these days. These were my own favourites when I was a kid. Some of them look pretty new and unscuffed so I must have got them brand new at the time. There are some really old, wonderful cards in this collection though. Such a blast from the past going through it! 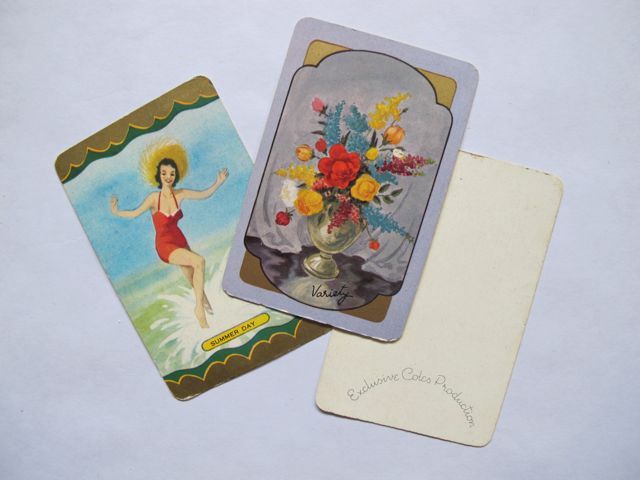 Check out other vintage finds here!